Logitech has always been known for their quality devices, whether that be mouse and keyboards or unique conference camera solutions. With a fairly wide lineup, it was pretty easy to find the right Logitech camera or microphone for your business’ needs. Some interesting solutions that can provide completely different experiences are already available and are featured on some of our conference room hardware lists. 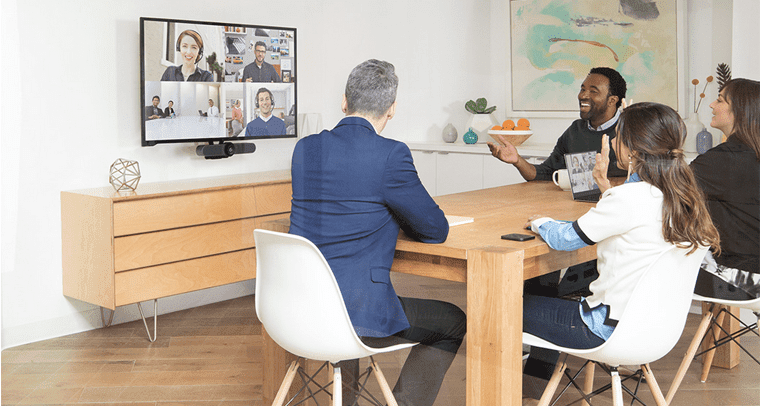 Logitech offers cameras, including some pretty nifty 4k cameras, and other such equipment for either massive conference rooms or personal video chats consisting of up to four participants. But what about the almost forgotten huddle room? Sometimes it’s not enough to just stick a dinky webcam in there, yet a full setup like an interactive whiteboard is just too expensive. Well, that’s where Logitech’s newest MeetUp ConfereceCam fits in nicely. Huddle rooms are a great way to take advantage of empty space in your office, thanks to the ever popular “Open Office” plans. Rooms that are too small for massive conferences yet aren’t fully utilized when filled with employees can be converted into huddle rooms. Huddle spaces can even be made out of that extra space next to the windows on the far side of the office. The entire point here is to create spaces for teams to meet up, huddle, and collaborate. Instead of attempting to crowd around one single desk or having to schedule and reserve a conference room, teams can take advantage of unused space in the office. But the problem with huddle rooms is that they sit in an awkward middle. Users need to bring their own laptops or hook up to older legacy solutions like basic webcams or that really, really old computer no one wants to use anymore. And that’s why Huddle Rooms present a unique opportunity for a unique set of solutions. Generic webcams don’t always have the widest angle lenses, or the best microphones at all. Furthermore, previous huddle room devices were simply scaled down versions of large conference room counterparts, and they were either overkill or too expensive and complicated. Huddle rooms need a device that is almost an all-in-one: a high quality microphone, a high quality wide angle video camera, and even some quality speakers are generally the place to start. And what Logitech does is just that — they bring the necessary aspects together in a neat, simple, affordable package. Of course there’s some extra tech baked in there as well that sets these solutions apart from other options. In fact, Logitech claims their new MeetUp cam was designed with the huddle room in mind. The entire package is an all-in-one solution designed to alleviate the issues that pop up in a smaller huddle room experience, and the entire device was designed with tight spaces in mind. The camera is capable of a 120-degree field of view, which is the perfect amount for a small table you would find in a huddle room. And if that isn’t enough, the camera can pan either left or right an additional 25 degrees, effectively increasing the overall view of the camera. Oh, and while we’re on the subject of the camera, there’s an even more important statistic to focus on: the 4k resolution. At this point, 4k is rapidly replacing 1080p as the new standard, so there really is no reason not to jump on board. Combined with Logitech’s fairly impressive lens, they put together a camera that has better quality video and a wide angle pan camera, which will contribute to better quality conferences. 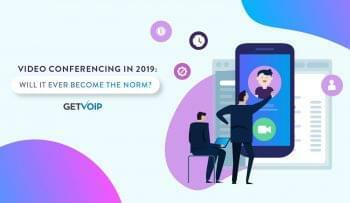 As is almost standard with video conferencing devices at this point, the MeetUp comes equipped with more than one microphone — three, to be exact. These three sound isolating microphones are optimized for tight spaces, according to Logitech, and a “voice-optimized speaker” helps ensure everyone in the room is not only heard, but heard well. The point of three strategically placed microphones is to allow the MeetUp to pick up voices coming from any angle or direction. 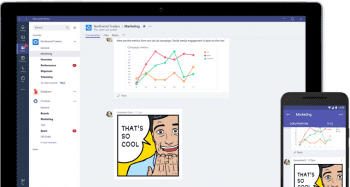 Oh, and on top of it all, MeetUp can even be used in conjunction with Microsoft’s Cortana when hooked up to a Windows 10 device, making for an even easier experience thanks to voice commands. Aside from a proper camera and microphone setup designed to work best in tight spaces, Logitech hit the nail on the head with the overall form factor of the MeetUp. The device is simply a speaker bar, with a camera in the middle, some microphones nestled in between somewhere and a USB cable. 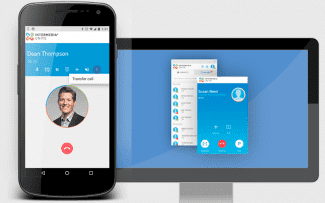 Simply plug the device into your laptop, and it automatically works with just about any popular video conferencing app including Skype for Business, Cisco Jabber, Broadsoft, LifeSize Cloud, Vidyo, Zoom and BlueJeans. If anything, the MeetUp is a webcam on steroids. To keep things extra simple, Logitech introduced a new smart phone app to control everything. With the ConfereceCam Soft Remote, users can essentially turn their smartphone or tablet into a remote for the MeetUp camera. Of course they built the app for both iOS and Android devices — and Logitech was kind enough to include the app for free. Instead of plugging your phone in, the MeetUp is equipped with Bluetooth for wireless connectivity. When outfitting these collaborative areas with technology, it is paramount to consider cost and the available space. Different devices and solutions at varying price points open up the possibility for businesses of any size to equip these spaces with the tools that groups need to work as productively as possible. Just from our first quick look, it really seems like Logitech came around and managed to hit on all of these points. While collaborative whiteboards are really cool and provide one of the best conferencing experiences, they just aren’t a fit for every team, let alone every conference room in the office. And while it is possible to piece together a decent solution for less cost, you could end up with a mess of wires and hardware that might not play nicely together. Affordable, compact, compatible, and simple are without a doubt the major traits of any successful product or solution — and what a business should focus on when searching for that right solution.